Cumbria Cottages, Tourism and Travel. 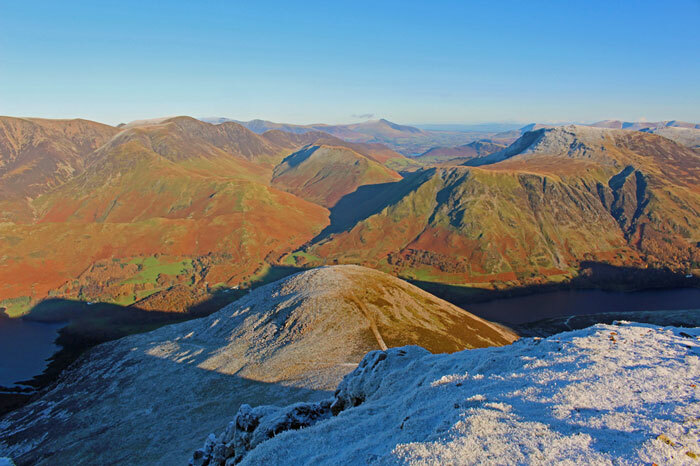 Cumbria is a fantastic place to visit at any time of year and is home to the Lake District National Park, considered one of the most beautiful areas of the United Kingdom. It’s also known for it’s romantic poets and it is this setting that makes it ideal for Cumbrian holidays for 2. There is plenty on offer for visitors and locals alike: from beautiful and diverse scenery, to historic sites and visitor centers. There is also a wide range of outdoor and indoor attractions, with something to suit all ages and interests. Go Ghyll Scrambling or sailing, or just enjoy the flora and fauna from a lakeside cafe or forest attraction. Visitor attractions include Birdoswald Roman Fort, Theatre by the Lake, Brewery Arts Centre, Tullie House, Lake District Wildlife Park , The Lakes Distillery and Muncaster Castle. A predominantly rural county, it is considered one of the most beautiful regions of the UK and includes the whole of the Lake District. Also known as “The Lakes” or “Lakeland”: the Eden Valley, the North Pennines, the Furness Peninsula, and part of the Yorkshire Dales are included in the county. The Solway coast in north-west Cumbria (stretching from Rockcliffe in the North down to Maryport in the south and covers 115 square kilometers) is now celebrating its 50th anniversary as a Area of Outstanding Natural Beauty (AONB). Much of this coastline now has great paths and a dedicated new cycle route. Many people make a beeline for England’s largest natural lake- Windermere. This busy tourist hub has a lot to offer, but the villages and towns in between these sparkling lakes are gems to be enjoyed also. Grasmere is set in a stunning spot next to the lake it takes it’s name from, and Dove cottage, the home to William Wordsworth can be visited. Wordsworth House (Birthplace of William and his sister Mary is well worth a visit too and is easily found in the attractive market town of Cockermouth. Cumbria and the Lake District is a perfect holiday destination with a great choice of attractions and things to do in Cumbria. Enjoy a lake cruise on Derwent Water, Windermere or Coniston or a relaxing spa day. Learn a new skill from dry stone walling to jewellery making. On a budget? Visit some of our attractions under £10 or enjoy a stroll in the countryside. From stunning waterfalls to England’s highest mountain and deepest lake, the scenery in the Lake District is spectacular. Explore the towns and villages, visit stone circles, historic castles and Roman forts.